The Rodney L. White Center hosted Douglas W. Diamond at the Wharton School’s Finance Department in March 2017 as the Rodney L. White Center Visiting Scholar. 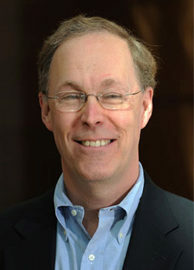 Professor Diamond is the Merton H. Miller Distinguished Service Professor of Finance at the University of Chicago’s Booth School of Business. He has been on the faculty since 1979. Professor Diamond specializes in the study of financial intermediaries, financial crises, and liquidity. He is best known for his work on financial crises and bank runs, particularly the influential Diamond–Dybvig model published in 1983. Professor Diamond was listed by Thomson Reuters in 2011 as one of the “researchers likely to be in contention for Nobel honours based on the citation impact of their published research” on financial intermediation and monitoring. In 2012, Professor Diamond received the Morgan Stanley-American Finance Association Award for Excellence in Finance and in 2016 was awarded the CME Group-MSRI Prize in Innovative Quantitative Applications. Professor Diamond is a research associate of the National Bureau of Economic Research and a visiting scholar at the Federal Reserve Bank of Richmond. He was president of both the American Finance Association and the Western Finance Association, and is a fellow of the Econometric Society, the American Academy of Arts and Sciences, and the American Finance Association. Professor Diamond has taught at Yale and was a visiting professor at the MIT Sloan School of Management, the Hong Kong University of Science and Technology as well as the University of Bonn. He earned a bachelor’s degree in economics from Brown University in 1975, and from Yale University his master’s degrees in 1976 and 1977 and a PhD in economics in 1980. Click here for Professor Diamond’s CV.